Seeing Right to Roam as an opportunity to revitalise walking in the Peak District, Mr Westcott's fieldwork began with a walk over Parkhouse and Chrome Hills near Longnor - the start of a 10 month campaign and around 300 miles of walking. The walks cover the whole of the national park south of a line between Macclesfield and Chesterfield, including both the limestone of the Derbyshire Dales and gritstone country around Chatsworth and Stanton Moor. 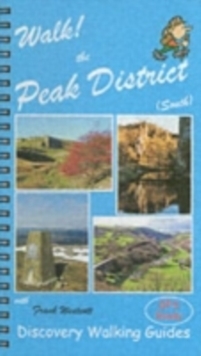 --Ashbourne News Book Description What makes walking in the south Peak District so interesting is that this is a landscape of constant change, from the annual rhythm of the farming seasons to the slower changes to land use and human activities that take place over generations. This is no 'unspoiled' landscape, but it absorbs and heals the scars of man's activities over the years, from copper and lead mining to quarrying; all have become essential components of the landscape we see today. All 32 walking routes include: walking route summary, ratings for Effort Time Distance Ascents/Descents Refreshments and Vertigo risk, fully detailed walk description including frequent timings to aid navigation and check your progress, GPS waypoints at every key point on every route, full colour 1:40,000 scale Ordnance Survey licenced mapping for each route, short walk and stroll alternatives.